Loon symbolizes peace, tranquility, communication, serenity, & generosity. Loon is also associated with copper and wealth. 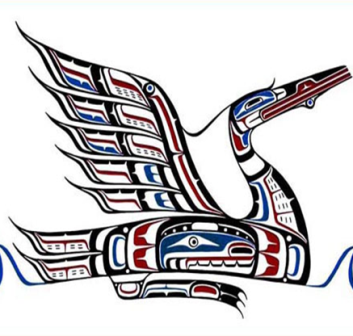 With a generous and giving nature, Loon features significantly in the art and mythology of Canadian First Nations Peoples. 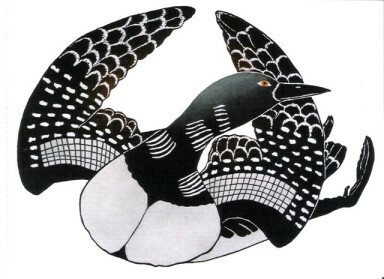 Loon is famous for its unique and often haunting voice, and is respected for its knowledge of various realms. Animals with unique vocal talents are held in high regard by Northwest Coast peoples, who traditionally perceive words, voice and song as carriers of power and magic. In the years of the great flood that took over all the land, a loon carried a willow branch across the water bringing hope to the nation, by telling the people the water was receding. The haunting call of the Loon tells you that the hopes, dreams and wishes that you have tucked away will come to the surface. When a Loon shows up as a totem it is calling you to pay attention to your dreams. They will be of greater importance. 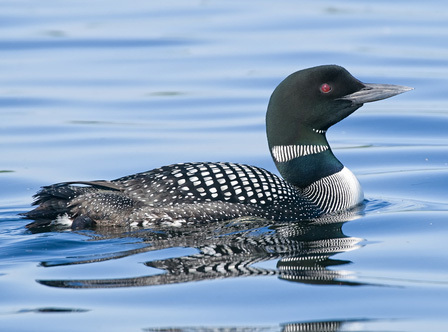 For those with a Loon totem, imagination and dreaming abilities are powerful. Images and visions will be very lifelike and you must separate the real from the unreal. Loon will help you see the truth. The Loon awakens the imagination and reminds us that all hopes, dreams and wishes can become realities.